Your information will be used to identify you and for billing, marketing (for example to inform you of specials) and information (for example sending you our newsletters) purposes. In the event of you being desirous not to receive such information kindly inform us via e-mail by clicking on the "Contact Us" icon and state which information you wish not to receive. When purchasing Supa Nova Electrical Power & Plumbing products via this Website you agree that your personal information be transmitted to third parties in order to facilitate the successful conclusion of the sale agreement, for example delivery purposes. Your information remains yours and Supa Nova Electrical Power & Plumbing will not divulge it to any third party, except as described herein. 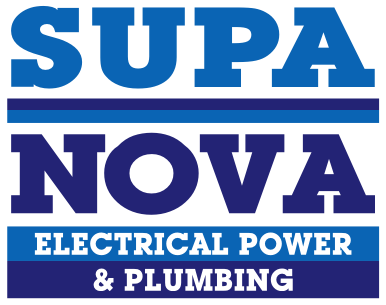 Supa Nova Electrical Power & Plumbing undertakes not to sell your information to any third parties. The following information of all users will be stored: Your name, Contact details and details relating to the products you ordered. For your protection we do not store your financial information (for example bank details). Supa Nova Electrical Power & Plumbing reserve the right to release your information in aggregated format to third parties, provided that such information does not identify you. Information and data is automatically collected through the standard operation of the Internet servers and may this Website use "cookies" and "tracking" technology. "Cookies" and "tracking" technology cannot be used to obtain your personal information. "Cookies" can be used to recognize repeat users and facilitate the user’s access to the Website. You can disable the "cookie" function but may you then not be able to purchase Supa Nova Electrical Power & Plumbing products via the Website. 364 Louis Botha ave, Maryvale, JHB, 2192.